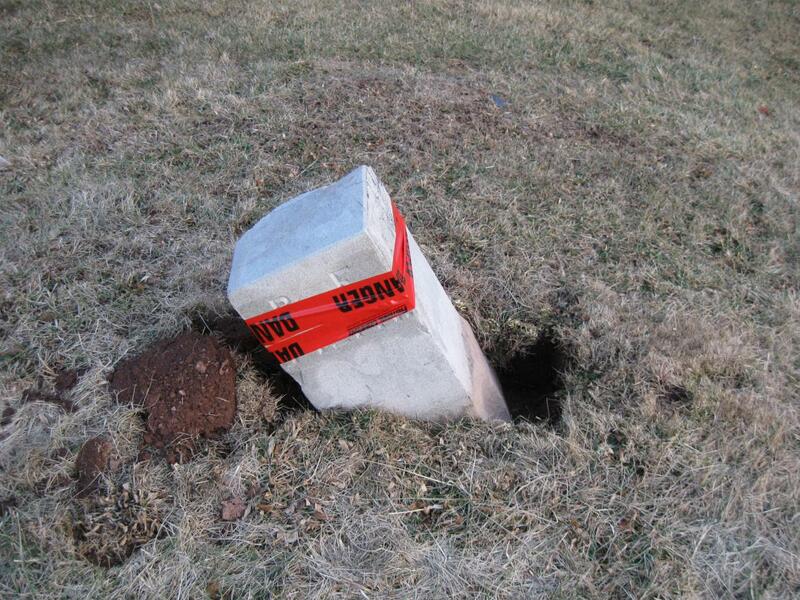 A vehicle ran over and damaged the right flank marker of the 74th Pennsylvania Infantry Regiment this week. It is located on West Howard Avenue. The Oak Ridge Tower is in the background above the marker. Oak Hill is in the right background. This view was taken facing northwest at approximately 5:00 PM on Wednesday, January 20, 2010. A vehicle has struck and damaged the right flank marker of the 74th Pennsylvania Infantry Regiment. The marker is located on the First Day Battlefield’s West Howard Avenue. The curve in this area of West Howard Avenue greatly increases the chances of monuments and markers being struck. Visitors entering West Howard Avenue from the Mummasburg Road (behind the photographer) can get up some pretty good speed before entering this curve. This view was taken facing northeast at approximately 5:00 PM on Wednesday, January 20, 2010. 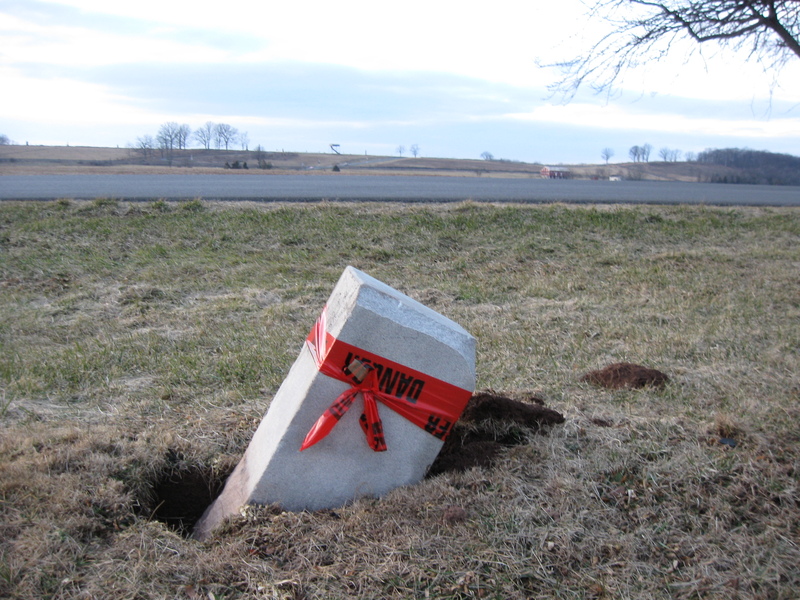 The monument to the 74th Pennsylvania Infantry Regiment, or German Regiment has been struck a couple of times over the years. 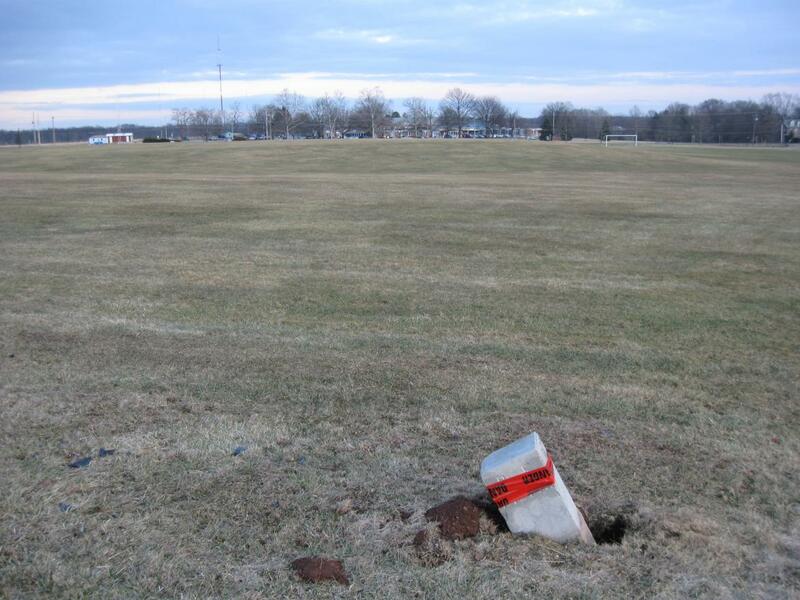 Fortunately, it was a flank marker and not the monument again. 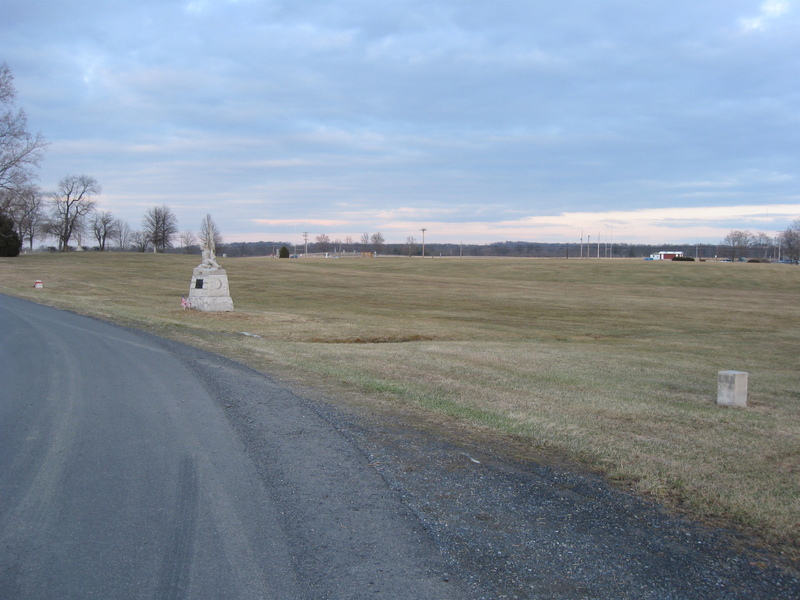 The left flank marker to the 74th Pennsylvania is on the right. 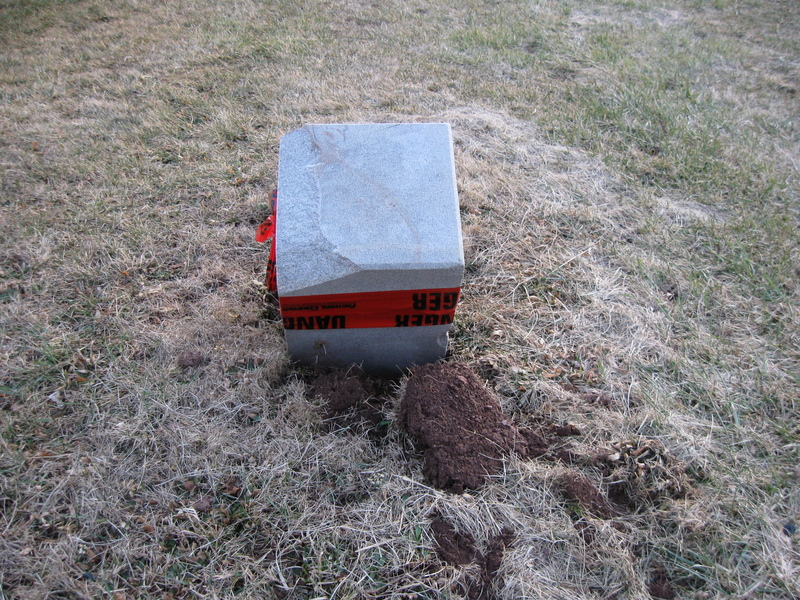 The right flank marker is on the left with the red tape around it. This view was taken facing northeast at approximately 5:00 PM on Wednesday, January 20, 2010. The 74th monument on the right. The right flank marker on the left. Barlow’s Knoll is in the center background. This view was taken facing northeast at approximately 5:00 PM on Wednesday, January 20, 2010. 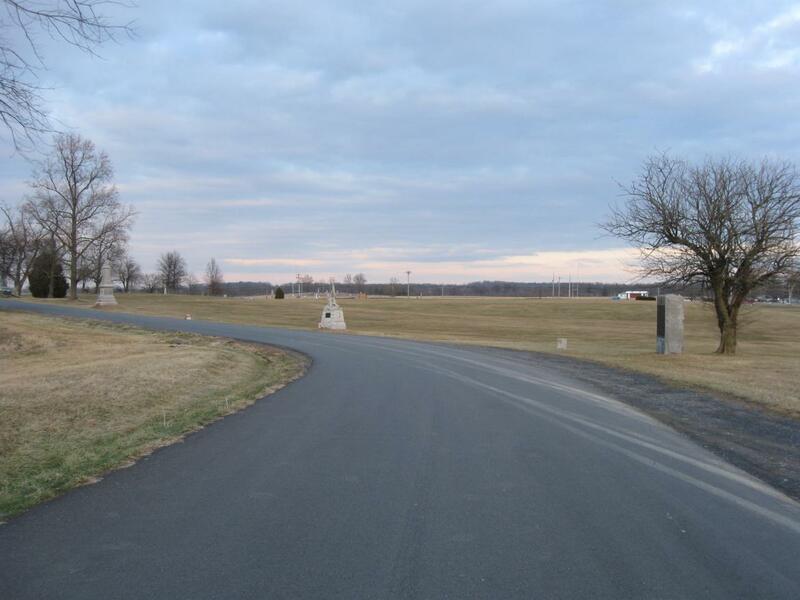 The flank marker to the 74th Pennsylvania is on the right. To its left is the monument to the 61st Ohio Infantry Regiment. 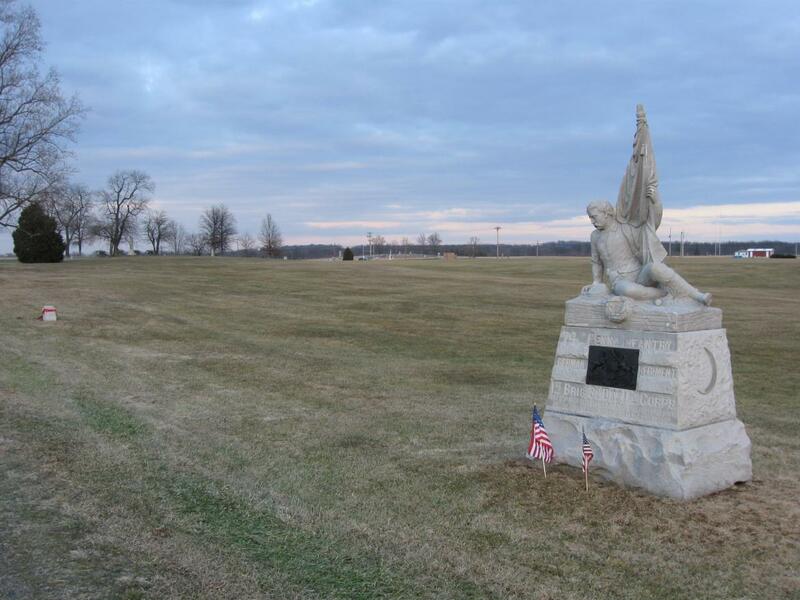 To its left is the monument and cannon for Dilger’s Ohio Battery. This view was taken facing northeast at approximately 5:00 PM on Wednesday, January 20, 2010. The force of the collision, considerably dislodged the marker from its location. This view was taken facing southeast at approximately 5:00 PM on Wednesday, January 20, 2010. 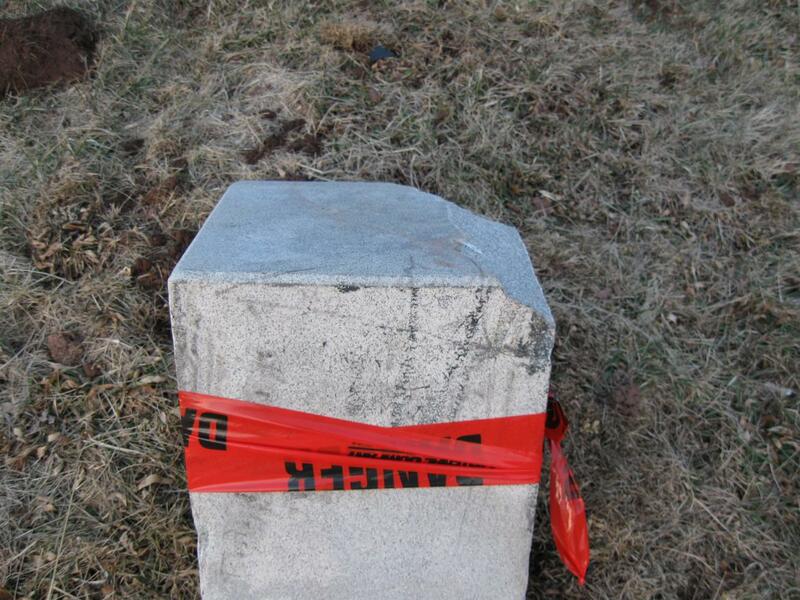 A significant chunk of granite was taken off the left (southeast) top of the marker. This view was taken facing southwest at approximately 5:00 PM on Wednesday, January 20, 2010. 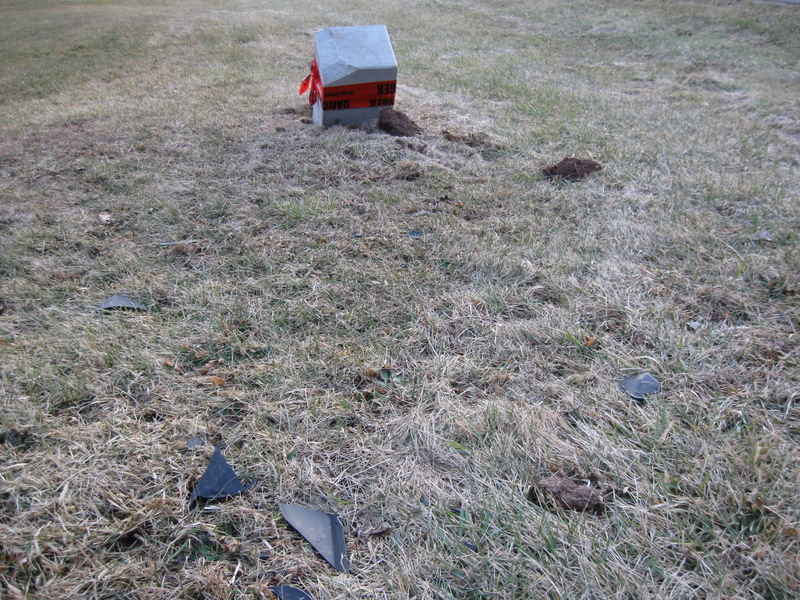 Some of the debris from the accident is still left from the vehicle which must have run over the marker. This view was taken facing southwest at approximately 5:00 PM on Wednesday, January 20, 2010. This view was taken facing northwest at approximately 5:00 PM on Wednesday, January 20, 2010. These marks appear to show how the vehicle scraped against the marker before taking off the chunk at the top. This view was taken facing northeast at approximately 5:00 PM on Wednesday, January 20, 2010. West Howard Avenue borders the Gettysburg College Physical Education fields. In the woods in the center background is the Green Acres Nursing Home. In the left background behind the red structure was the location of the Adams County Alms House. This view was taken facing southeast at approximately 5:00 PM on Wednesday, January 20, 2010. U.S. Regulars Monument Vandalism and Red Cloth Update on November 18, 2009. 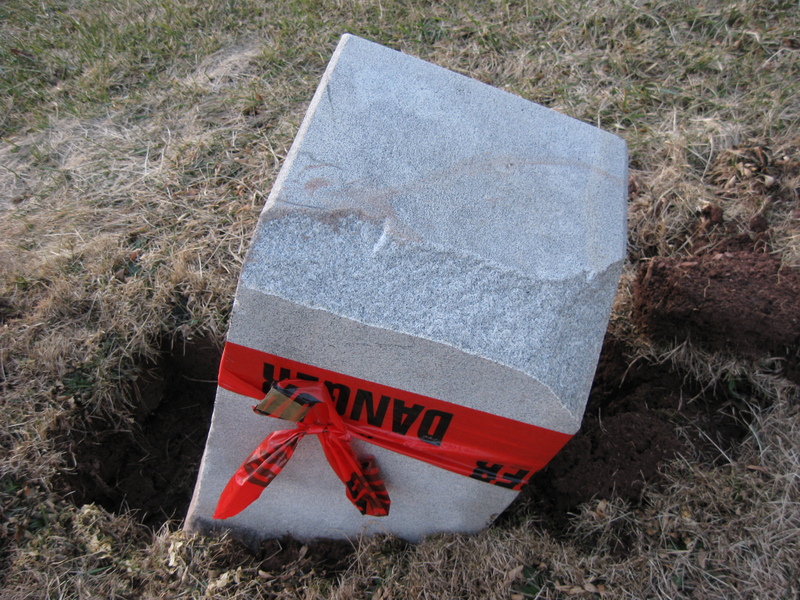 Vandals Spray Paint U.S. Regulars Monument, Red Cloths Return on November 16, 2009. 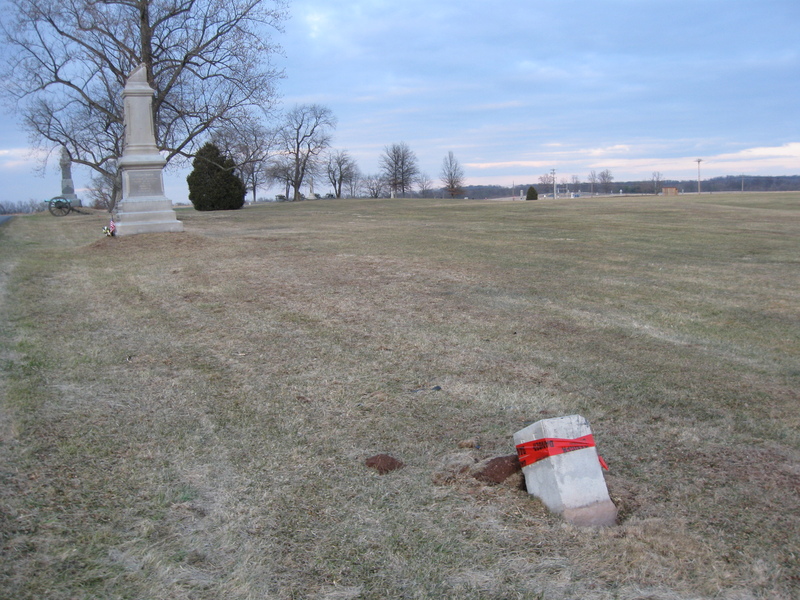 Red Cloth Placed on East Cavalry Field’s Michigan Cavalry Brigade Monument on November 2, 2009.